today I felt all groggy and exhaused, I had to work for 5 hours at the shop and didn’t really get much sleep the last couple of nights. here you go, I just mixed some of my fav ingredients and threw everything mixed up in a baking-pan to roast the stuff until it was golden and chrunchy. 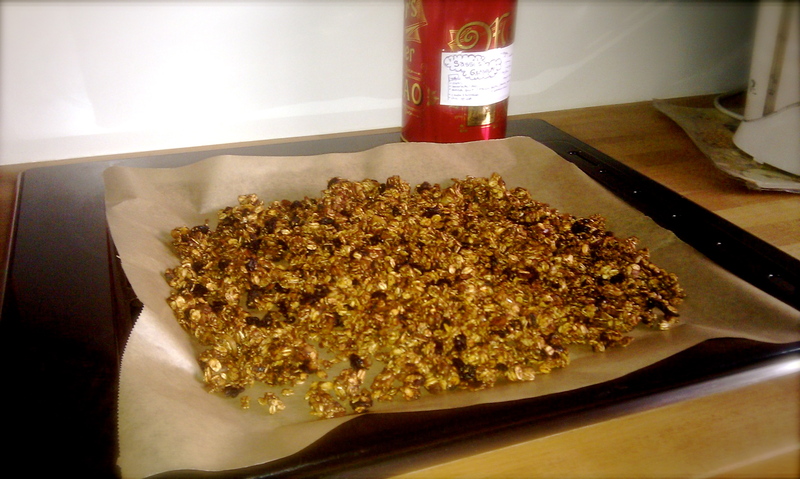 *edit: you can also roast your granola in the oven, on a baking-sheet! i’m sure this tastes yummy with some soy- or other nondairy mylk, as it would do with yome yogurt, water or even fruitjuice. 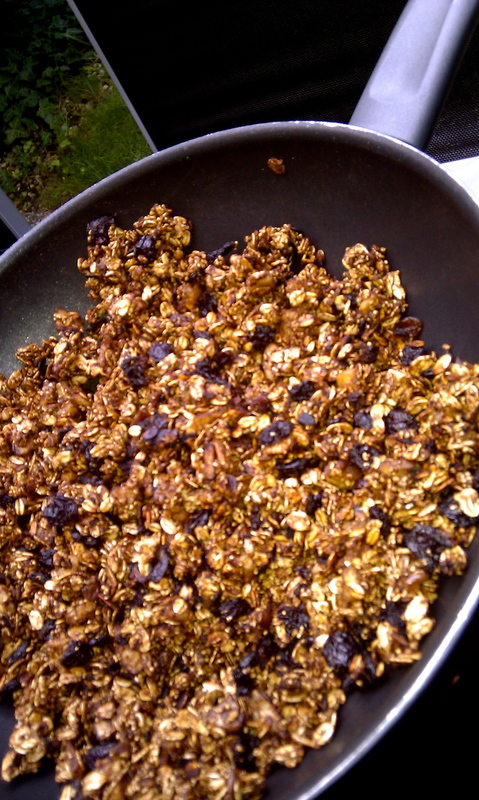 oh, and, by the way: this granola is absolutely healthy, guilt-free, vegan and delicious! it doesn’t contain any nuts or soy but it full of energy and taste! feel free to play around with this recipe!